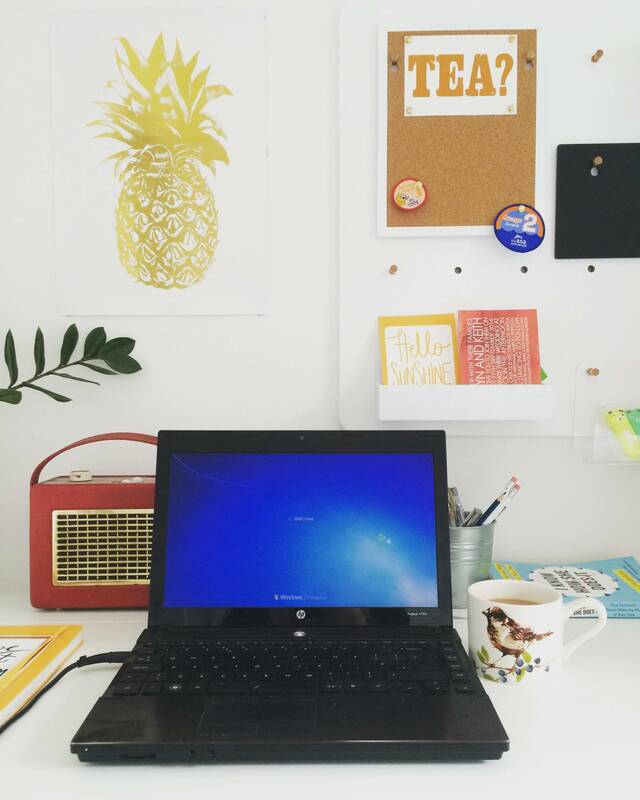 Being someone who works for my digital marketing job one day a week from home, and also conducts my freelance blog work from there, what I’ve actually really missed at the moment has been a dedicated office space to work from. 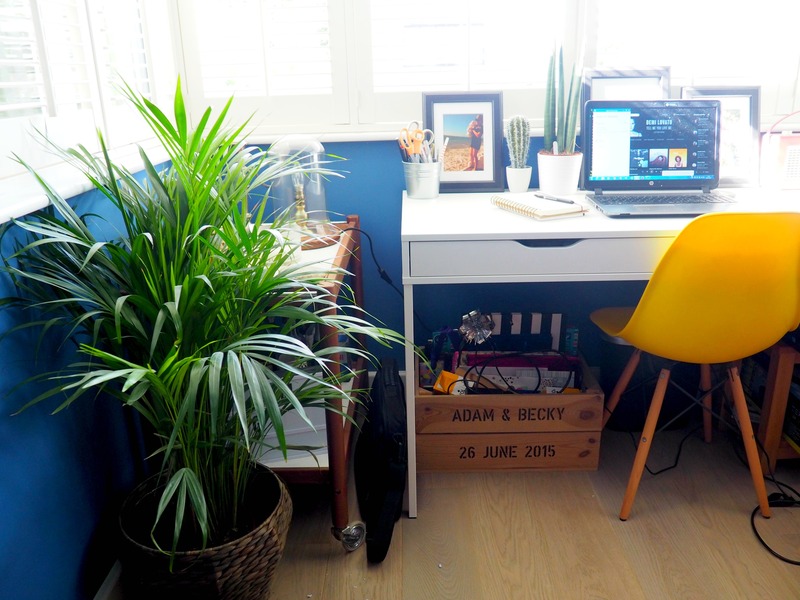 At our last house, we were lucky enough to carry out a loft conversion, and our smallest bedroom in the pre-Arlo days became an office (and man, did I love that office). 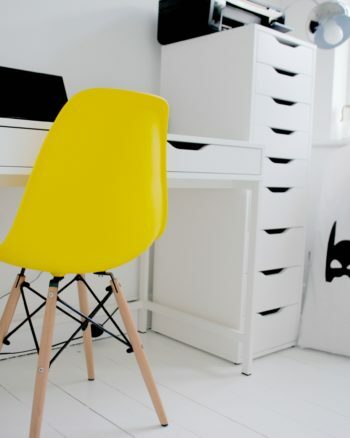 It was a bright, light, white space, with large white desk (that we still have stashed away), plenty of storage for stationery and paperwork, and my favourite yellow Eames-inspired chair, that really gave the room a pop of colour. It was comfy to sit down on for a day’s work as was totally the right height for my desk, and I always felt focused whilst working in that space. At the moment I work in our current home from wherever takes my fancy- sitting crossed legged with my laptop on our bed (like right now! ), at our kitchen breakfast bar, or sometimes on the sofa come the evening. All fine to be honest, but not ideal on the old back, and I have to admit that I can’t wait to have an office space again in hopefully the near future. We are hoping to move house soon and the place that we want has a room that would make the perfect office already. If that falls through, we will stay put, convert our current loft and Arlo’s nursery will become a home office, so either way we’re not in a bad predicament! 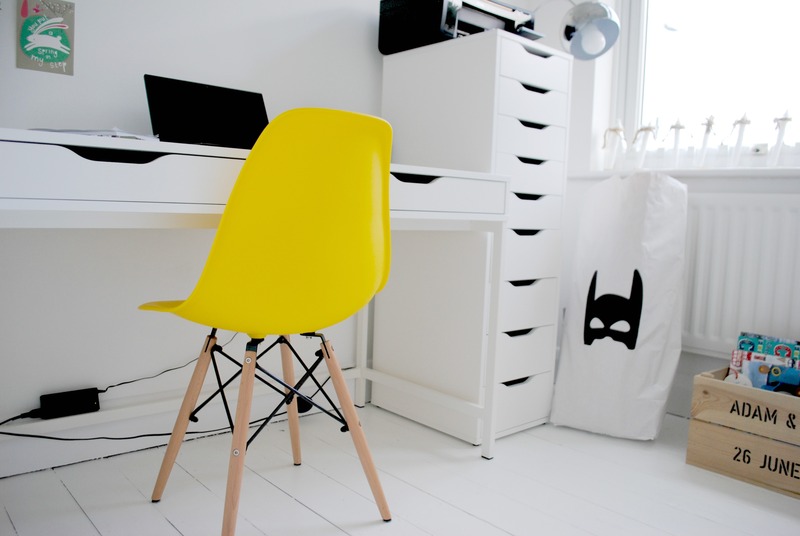 It will be nice to dig out my favourite yellow chair again, perhaps choose some interesting wallpaper this time instead of white walls (although I quite like the calm and focus they bring), and shop for some new plants, quirky prints for the walls, and also storage like office filing cabinets at Furniture At Work to keep our household documents in. If you’re also interested in creating your perfect home office space (and there are so many ace ideas on Instagram too), Furniture at Work have this fun infographic that compares chairs to celebrity styles, ideal for cheering up your Friday and giving you inspiration.